Hi all and Happy Monday! We had a non-stop weekend (more non-stop than usual) and are all pretty tired this morning...but a good tired. Saturday we found ourselves heading to Sea World for the first time with Everett. We joined a few of our friends and had a blast. Luckily teachers get in free and so does E, so the only ticket we had to purchase was Mike's. The best part? He got a discount through AAA online and because of the Fun Pass option Sea World offers, we have the rest of the year free, so we can go back time after time. Score! Shamu's Happy Harbour - Perfect for the kiddos! Our ticket for the day also included a fun time at Sea World's annual Bands, Brew and BBQ. We were treated to a concert by Rodney Atkins and it was great! Mike and I had actually seen him perform a few years ago in Nashville after our marathon. He was great then and he was great this time! The best part of the concert? There was plenty of lawn seating for the kiddos to run around with TVs to show the concert. E loved having the freedom to spread out. Happy toddler, happy parents. Sunday was actually pretty productive and relaxing- which I loved! We started with our weekly grocery trip, followed by lunch and a trip to the Apopka Fair after nap time! Our fun outings are usually quite a drive from our house, so we were pretty excited to only have a 5 minute drive for a quick outing before basketball started. E loved most of the rides...not so much the fast ones. He even rode one all by himself (cried half way through, but still did it!). I think his favorite was the slide with his daddy. It was high!!! 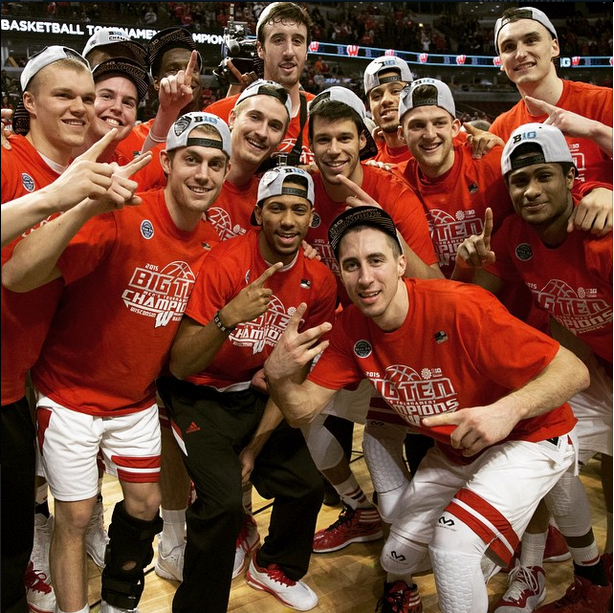 And, how could I forget to give a shout out to the Badgers! Since my Gators won't be dancing this year, I am in full on Wisco-mode! We finished our fun weekend by watching the Badger Men's Basketball team take down Michigan State in overtime to win the Big Ten Tournament and grasp the final #1 seed. Needless to say my hubby was a very.happy.guy. 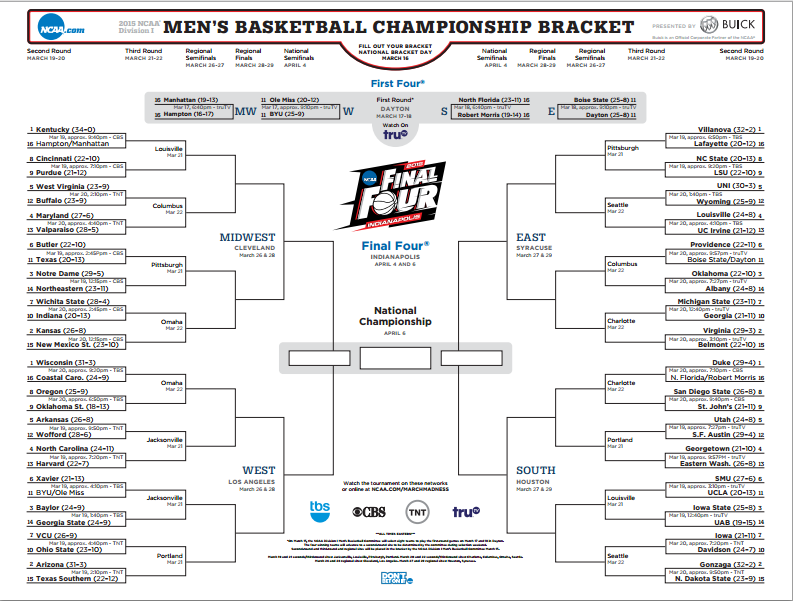 March Madness is one of my favorite times of the year, I'm filling out my bracket tonight - you? Get your own printable bracket here!